With Natural Star Nani and Keerthi Suresh as leads, the upcoming Telugu film Nenu Local completed censor formalities and bagged U/A certification. Producer Dil Raju says Nenu Local is a character-based love story and Nani will get good response for his performance in the movie. He thanked Devi Sri Prasad for hit tunes. He also expressed his confidence on Trinadha Rao Nakkina’s direction. 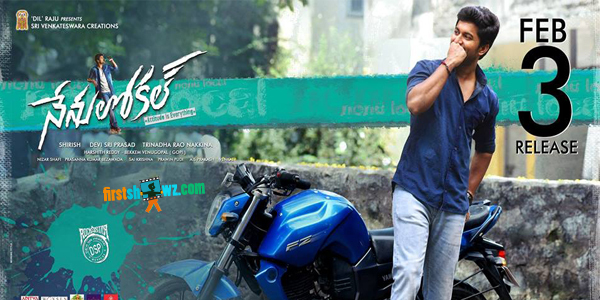 Dil Raju has announced Nenu Local release date on February 3. Produced under Sri Venkateswara Creations banner, Nenu Local has cinematography by Nizar Shafi, music by DSP, screenplay and dialogues by Prasanna Kumar Bezawada.